As someone who LOVES Math and did all the extra problems in school for homework (just because it was so fun) and now have been teaching it for about 18 years, I’ve learned so much while teaching! Math came so easy to me, but I learned, while teaching my own 4 kids, that it doesn’t come naturally to everyone and when it doesn’t, it can drive a parent up the wall, especially if they don’t understand how kids learn Math and especially if they love Math themselves and are naturally good at it. I did not realize how much repetition it took, how much time certain concepts would take and initially didn’t have the knowledge of how it all fits together like one big beautiful puzzle. So it created a lot of frustration. I feel I owe this article to all the Math-loving parents and non-Math loving students out there! I hear more about Math frustrations and confusions than any other subject. The worst part of all? Everyone thinks they’re the only ones with the problem! I believe anyone can learn Math, it’s just a matter of time, patience, and the right way of learning it. I tell my students that Math is a language, it has vocabulary, it follows rules and you can’t learn to write essays before you can write words, so everything builds on everything before that. If someone is teaching you Math and they don’t understand the flow of how Math builds, it becomes extremely frustrating and no fun, while Math is inherently fun with all the cool patterns and all the amazing things we can do with it. We put a man on the moon with Math! But let’s not start there, let’s start at the beginning. If you feel you aren’t the best person to teach your student Math, one way of dealing with it is outsourcing it to someone who is experienced in teaching it like the caring teachers at Learn Beyond The Book, where we do Math twice a week for 1.5 hours each time and students can come once or both sessions, combine it with some fun math games each class period and move up to the next level as they reach their math goals. Students are allowed to work at their own level of Math without being compared with the other students in the class and classes have max of 12 students, in which case we normally have teacher’s assistants in the room as well. Another way might be to employ a private tutor, which we also offer at Learn Beyond the Book. If none of those appeal to you and you would like to teach your homeschooled students at home yourself, you might find this information helpful. I decided to develop a very simple product (cost is $1) that looks a bit like a table of contents, but it is much more than that. It shows a logical flow of what needs to be taught in terms of Math instruction in the order that is easiest to teach and for children to understand based on my experience from my 18 years of teaching Math. Many parents and even non-math-loving teachers try to teach their students math and use traditional textbooks, but they don’t understand the flow of Math instruction and then aren’t always aware that e.g. teaching fractions when someone has not mastered the concept of division and what it entails, will be very difficult and you won’t get very far and it will end up in frustration for everyone involved. This product is meant to be used with whatever curriculum you choose to use, but it is to help you sift through where your students are at, help with assessing what they might be missing and where they might’ve developed “gaps” in their math instruction using certain textbooks and help you stay on track. The Math curriculum that most closely follows this approach is Math-U-See, and then the “Key To” series once you reach Decimals, % and Fractions. Used in conjunction with those curriculum, it will be easier to follow this plan and cover all your bases and make sure your students are not getting lost in what could be a Math jungle. For any questions, feel free to contact me at LearnBeyondTheBook@gmail.com. Amidst all the talk about happiness, including countless seminars and books, it appears to me that we don’t always put a high enough premium on it when it comes to the world of education. It seems we have forgotten that happiness is also an unalienable right of children and not just adults. So often we see kids dragging themselves to school, experiencing little joy from the process of learning, even though education is one of the most wondrous of life’s experiences! This saddens me, and makes me very determined to work for a change! The incorporation of happiness and joy into the process of learning is grossly undervalued in most of our educational systems today. Our lives are so short; this is a reality I have just recently experienced again with the death of my father. Why would we spend extended periods of time in self-imposed misery when we don’t have to? Sadly, most kids don’t have any say in this whole process of imposed joylessness. They get dragged to school with no choice and the frustration that creates can spill out in the form of a variety of undesirable behaviors. There are many enjoyable and engaging ways to learn. The industrialized method that we’ve been using for the past century is, increasingly, not one of those. Wouldn’t it be more engaging for students to learn through experiences, projects, apprenticeships, and from people with a passion for the subject than to spend an inordinate amount of time practicing for a test? If an adult wants to learn something, they find someone who knows the subject, spend time with them and learn in a hands-on, experiential way–why is it not the same for kids? When teachers are saddled with increasingly large class sizes, required to spend many days testing and many more preparing for these tests, and required to cover all subjects, it is virtually impossible to engage every child in the most inspiring way. Putting aside the fact that it takes all the joy out of teaching, there are other problems with that model as well. If that teacher really is not a fan of Math, do you think it will not come through in her teaching? If she freaks out when she sees a bug, do you think her Science class will take a hands-on approach, or be the best these kids have ever had? Of course not! Everyone has their limitations, and someone who does not enjoy a subject isn’t the best choice to be teaching it. At Learn Beyond The Book, we have taken many of the problems we’ve seen in traditional schools and created solutions. Not only are all our classes taught by individuals who are highly passionate and knowledgeable about their subject, but also by kind, compassionate individuals who think of the children as whole human beings, engaging them as individuals and encouraging them as a group. We see children as resourceful, and value their input as part of the educational process. We create classes where they feel embraced and respected as they actively participate in their own learning, where they more easily remember what they’ve learned, because they were engaged in the learning process, not passive bystanders! Learn Beyond The Book maintains small class sizes to create an intimate and safe environment where kids can try things, fail, learn from their mistakes, succeed, and celebrate each other’s successes. What is the result of all this? Happy kids who can’t wait to come to class! It’s a win-win for students, teachers, and parents. All the kids attending are either homeschooled or hybrid schooled, which combines independent learning with several of our classes. We provide support to homeschooling families and high quality class options to families who enroll in home-study charter schools. Homeschooling parents love this system because it provides them with some free time and a break from the feeling that they have to become an expert in every subject, especially the ones they do not enjoy themselves. Many times we’ve even seen parents become more interested in learning about a topic that they previously didn’t find interesting, because their kid has been so inspired by a class and shared their excitement with a parent. Our teachers enjoy teaching because they have freedom to teach the kids in the way that they best learn, considering all the different personalities and learning styles in their class, and without being bound by stringent testing and grading standards. Our students have a great time learning and doing it all surrounded by good friends and a supportive, less competitive atmosphere. It is all so exciting to observe! In my experience, happy teachers teach more effectively, and happy students are more efficient learners. Many of our families have remarked about the change they see in their kids when they are learning in our more happiness-inducing atmosphere. Imagine how your child might blossom in such an environment. If you are interested in a different kind of learning environment for your children, feel free to check out our website and all of our Fall classes. As this calendar year draws to a close, my appreciation for homeschooling and hybrid schooling (a mix of school at home and outsourced classes) keeps growing. As new students attend classes at Learn Beyond The Book, I feel so grateful for the opportunities we have, especially where we live. An individualized education for each kid is possible! It takes work, but so do most things that is worth anything in life. Kids can learn at their own pace and in their own style! Everyone is so different! As adults, we all know it, accept it, and even appreciate that about each other, but in schools there is so much pressure to conform to a certain standard and all at the same age. 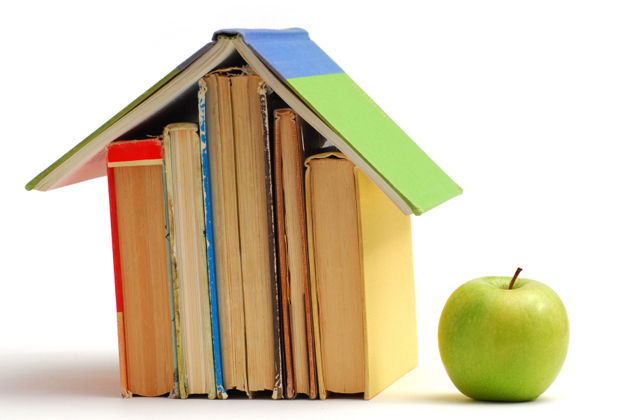 When you homeschool or do hybrid schooling, you can truly customize education! Then it’s not a one-size-fits-all education, but a have-it-your-way education! It’s the way of the future! If you, for example, feel that your child is advanced in Math, you can put them in the skill level class that you feel they need to be in by either getting the curriculum for that level or attending a skills-based Math class at Learn Beyond The Book or signing up for some sessions with a great tutor. If you feel they’re a little behind in Reading, there is a class for every level. If they’re really interested in Science, there is a class for that as well! Homeschooled kids are so used to kids of all ages that they don’t even bat an eye if an older or younger child is in their class or on their level. We always stress in all our classes at Learn Beyond The Book that you can only know something if you’ve learned it, so we make sure no-one ever has any comments like “You don’t know that? !” That way every class remains a safe learning environment for everyone to be in, on an emotional level as well as academically. On the other hand, if your child is extremely interested in Technology, why not build their education around their interest? Why not sign them up for a Minecraft Science Modules class if they are a Minecraft fan, or help them learn how to program their own Video Games? If they love History, focus most of their learning around their interest and see their love for learning blossom!! We love to provide all these different kinds of classes to homeschooled kids so that they can excel in their areas of interest. Homeschooled kids, especially as they get older, have more time to themselves – no unnecessary busy work and homework that leads nowhere. Teens tend to know themselves better, because they have more time to focus on what drives them and what they like to do when no-one is telling them what to do. This leads them to discover what their passion in life is or just what they enjoy doing and it could lead to a future career. When some of my children were in high school, they took a lot of community college courses and even with a pretty full load they still had hours more per week to themselves than their public school peers. What did they do with their time? The one spent hours a day practicing singing in the band he was in, then moved on to spending hours on a flight simulator and starting to read airplane manuals, watching countless documentaries, reading books about people he admired, which all lead him to his desire to study Aerospace Engineering. The other spent hours a day playing video games and hanging out on Skype with his friends after learning some special effects video editing, with which he has earned some money and he developed his art. Then he dabbled in Filmmaking classes, learned all about lighting, editing, Photoshop, multimedia art, and more at the local community colleges. Now he studies concept design for the entertainment industry and uses, as he told me the other day, every single thing he ever delved into, even the map building software that was linked to a videogame he loved as a teen. The focus was not on getting him to stop playing video games, because that would’ve been futile, but to make sure that he doesn’t just play but use it in some creative way, which I asked him to do every day at some point and he usually happily did that, because it was still linked to his big love of games. He has now learned within days a complicated game development software and started building his own game while using his own concept design art for it, using all the skills he acquired in that time when many might have thought he was just wasting his time on games. One interest leads to another and as long as we are helping to guide things to a healthy place, eventually they find who they really are. If they are told constantly what to do and when, they barely know who they are, end up with years in college for a degree they aren’t that interested in and thousands of dollars in debt later, they end up in a career that they don’t love and when midlife hits, there is a crisis. The fact that homeschooled students have more free time than kids in traditional schools usually also allows them more time to spend with family and friends and as a result they develop really deep and meaningful relationships that often last a lifetime. Bonds between siblings are very close if nurtured properly by the parents, because they spend a lot of time together. They are also often a little less influenced by what their typical teen peers and society would think is “cool” and enjoy simple wonderful things in life. Because they are used to being around their parents and other adults, they appreciate parents more than most school kids who are gone from their parents for almost all productive hours of the day. As they grow, it often becomes more important for them to have a little more independent time with friends, which is when nurturing classes and group social events come in handy (like the ones at Learn Beyond The Book), because they have healthy interactions with friends with the guidance of a compassionate facilitator. All this make for kids who are socially very well adjusted because they are so used to interacting with all different ages from adults to younger kids with the mixed ages of families, classes, parkdays and social events. They aren’t just used to interacting with their exact age peers. As the excellent movie, ‘Class Dismissed’ put it, there is no need to group kids “by date of manufacture”. I love that term! In our classes at Learn Beyond The Book, all students are treated with the same respect we would give an adult, so all their opinions are treated as valuable and it makes such a big difference in how they perceive themselves and their fellow students, no matter what the age. I can keep talking for much longer, but these are my top three reasons for loving homeschooling and hybrid schooling as much as I do! More in my next blog, thanks for reading! Even though all the engaging, hands-on classes offered at Learn Beyond The Book eventually could lead to a career, a few classes this Fall can result in an actual job shortly after taking the class. Below are some details. This Fall, Jonny Hyman, a private pilot himself with a certification to teach Private Pilot Ground School, will be teaching that and students will be able to go take a test after this class and start their flight training upon passing the test. This could lead to careers in Aviation. If you’ve ever met Jonny, you know that Aviation is one of his biggest passions and he loves to share his knowledge about that. Another class that Jonny will be teaching this semester, Computer Technology, could potentially result in a tech support job. In this class students take apart a computer, investigate and study all parts of the computer, put it back together, learn about software and learn how to trouble shoot if their computer is giving them trouble. In the same vain, the Website Design & SEO/Marketing class helps students (including adults) put together their own websites in WordPress for either a personal portfolio or business and teaches students how to optimize their reach online with search engine optimization (SEO) skills. This class is taught by Anthony Franck, who does Website Design, Internet Marketing & SEO as a full-time job. Last, but not least in the Technology field, we have several programming classes. For the Minecraft lovers, there will be Minecraft Mods. There will also be Programming with Python, Java Programming and C# programming combined with 3D modeling in Maya and Unity, all taught by programmers and the last taught by a high school credentialed Digital Arts teacher. For the actor kids in our midst, we have several Theater classes, but one that directly benefits their audition process would be the On Camera Acting class. Valerie Gould, an acting coach, will work through scenes with the kids and help them if they are in need of guidance entering the entertainment industry. She has years of experience with her own son being the voice of Nemo in the Finding Nemo movie and her daughter in many well-known Disney shows and more. This course provides a student with all the skills they need to enter the Medical Billing profession. It will run for the year, but if students really want to move forward quickly, they could finish it in a shorter amount of time. It is taught by Pat Schneider, who has taught many others and provides internship opportunities for students after the class thanks to her contacts in the medical profession field. Public Speaking is a skill that is needed in every job these days. Presentations are standard fare and students need to know how to do it. The Public Speaking & Debate classes will even be beneficial when it comes to job applications! It is taught by Nick Bremner, who participated in numerous Debate competitions throughout high school and college. Hope you can join us for some of these classes! New hybrid school program for Santa Clarita starting Fall 2015! The great news about charter schools just keep coming this week!! As you know, Learn Beyond The Book already partners with 10 great charter schools offering classes and social groups, fieldtrips, and more to their students and will continue to do so (Golden Valley, Sky Mountain, Gorman, SCVi, iLead Lancaster, iLead Exploration, Sage Oak, Albert Einstein Academy, Excel Academy, and Mission View Charter Schools). I’m very excited to let you know that Inspire Charter School has partnered with Learn Beyond The Book, to provide a true hybrid program for homeschoolers/hybrid schoolers in a new Specialty Program, starting Fall 2015. There are many benefits for you as a result of our partnership. Most families will love the ability to choose up to any six of the available Beyond The Book classes each semester. These classes are available tuition free for all enrolled Inspire Charter School students. If students want to take more than the six classes, parents are free to pay the rest out of pocket. The whole goal of Inspire is to simplify things in order to give students the best individualized education program possible. Inspire provides special education services and the teacher assigned to your student will be available for assisting parents in getting any questions answered that you might have about the program or homeschooling in general. A credentialed teacher, assigned to the students at Learn Beyond The Book (one of our own local teachers), will be on site at Learn Beyond The Book at regular predetermined times and they will be collecting the monthly work samples, most of which will be created during Learn Beyond The Book class times from students/parents, as well as an attendance calendar, which has to be initialed by the students and signed by parents for all days attended in the month. Since the teacher will know the students from being on site, they wouldn’t have to meet with them and the parents for an hour each month. Parents also won’t have to fill out any specific learning logs. We are excited to have Kelli Mejia, a homeschool mom herself, be our first teacher! If your student chooses to use the online courses available to them, the funding for those will not reduce your tuition-free classes. For K-8 students, K12 or Odysseyware is available and A-G approved APEX for high school students. Students in high school could replace APEX courses with community college classes and/or test out of certain courses. High School Science courses with labs done through APEX will have labs completed by attending 2 Saturdays per semester of lab time. Electives taken at Learn Beyond The Book can count for credit under certain circumstances, so please see this article for more details. High school credentialed teachers are available all week for students’ questions via phone and online and classes taught by our own credentialed teachers will be able to count for high school credit. When testing time rolls around, all Inspire state testing will also be conducted at Learn Beyond The Book’s facility and proctored by the assigned teacher(s). Inspire doesn’t believe in teaching to the test so students will not feel pressure about that. If students want to use funding at other vendors as well, they can enroll in a different program of Inspire with an annual budget of $1,000 for enrichment with the core subjects being done through one of the online platforms (K12, Odysseyware and APEX). In this program, students have to use the online curriculum. There are limited spots available for the Fall, so don’t delay your enrollment if this sounds like a great fit for your family. Then also register on our site for the classes you want and put Inspire down as your school. A free information meeting to provide you with more details about Inspire’s partnership with Learn Beyond The Book was held on July 16, 2015 and here is a partial recording of the meeting (forgot to push record right away, but what you missed is in this article). Have you ever wished your child could play in a Wind & Percussion band at school, but thought that it might be hard to pull off because of the fact that you’re homeschooling? Maybe you don’t want to pay for Flute, Trumpet or Drum lessons first and then get into a band, because maybe the kids won’t even want to take it or won’t be excited about practicing, even though you see the benefits of learning to read music and play an instrument. Well, there is good news. At Learn Beyond The Book, we have started a Band program and it has been so fun! The kids don’t have to be trained in any instrument before joining the band. They can join and receive lessons as part of band practice. The motivating factor for getting better is that they’re playing in a band with their friends and that usually helps motivate them to practice. Our awesome band director, Kris Chase, has played in a lot of bands and can teach all the different wind/percussion instruments. We have Beginnning and Intermediate Band, so if your child has already been trained in one of the instruments, they can join the Intermediate Band and if they are brand new, Beginning Band would be perfect. The Band meets Monday afternoons starting 9/14. Beginning Band meets at 5-5:45pm and Intermediate Band meets 4:15-5pm. A great perk is that we are allowing homeschool parents of enrolled band students to join us for free if they would like to play as well. To register for Beginning or Intermediate Band, click here. Spelling Power is my favorite and I sometimes combine it with the free version of Spelling City online that has a few online games which they like. I will do the pretest from Spelling Power, but modify it a bit and go till they have 10 words wrong, then put them into Spelling City and let them do that daily until they get 100% for 3 days in a row. If they keep missing just 1 word, I will move on and just add that word to the next list. The way that Spelling Power prescribes also works great, but if you have less time every day for a pretest, the Spelling City combination is helpful. Bob Books and then the readers from the curriculum set Sing, Spell, Read, and Write. After that I love some small reader books from the library and then switch to lots of picture books. Once you do picture books and they get a bit harder, you might read some words and they read some and that way they don’t get too tired and frustrated. I would say whenever frustration sets in, that’s it for the day. You want them to love reading, and not hate it. Also, read out loud to them a lot of fun books that they can’t read themselves yet. Dr. Seuss books are my favorite, but there are tons of other fun ones too. After they start reading, let them pick books that they love from the library or Amazon/Barnes & Noble. First Language Lessons and the Rummy Roots games from English from the Roots Up to learn Greek and Latin Root words, then reinforce things learned in First Language Lessons with Easy Grammar and Daily Grams. I like Writing Strands for some things and Institute for Excellence in Writing for other things (look for this used, it is really expensive). I like to combine Writing with whatever else we’re learning, so if we just studied ants, I will let them tell me something about what they’ve learned and write it down (start with just a few words, then progress to a sentence and paragraphs, then essays eventually). Then I would let them copy what I wrote, because that way they write it, it’s really their words, but they see the correct way to write it with correct spelling, punctuation and capitalization OR you can let them copy sentences from their favorite books. I got this idea of copying and dictating from the Charlotte Mason Approach. Math-U-See for place value, addition and subtraction and then when they’ve mastered those, I like the Key To Series for Decimals, Percents & Fractions, etc., coupled with a lot of Math Games. After that I like Saxon Algebra ½ for Pre-Algebra and for Algebra 1 my favorite book is Elementary Algebra, which you can purchase with or without a DVD with an excellent instructor. I wrote my own curriculum for this, because I didn’t find something that I really liked. My curriculum is called Where’s the Money? It has a lot of hands-on teaching and ideas and incorporates games and entrepreneurship. For Social Studies, I love Story of the World as the backbone and books from the library plus unit studies from Teachers Pay Teachers for activities for specific topics to supplement – borrowed this idea from Classical Education where History is done chronologically. Lots of Science books from the library and Schlessinger Media DVDs and Discovery Education for almost any subject. I would tailor it a lot to what my kids were interested in at the time. Animal Planet episodes are also great for some Science. Mostly let them ask all their questions about how the world works and find them the answers and ask them questions about it so that they start thinking about it themselves. I also love Brain Pop. There will be some free videos, but a subscription is usually required. A lot of the charter schools have this as a free resource to you though, so check with your teacher if you are in a charter school. I hope this has been helpful. Feel free to come browse our selection of new and used curriculum at SCV Beyond Books. A few months ago, I found out that a new documentary about homeschooling would be released soon and I was very excited. I bought my ticket online and drove down to North Hollywood last night to see it in the Laemmle Theater. I entered the theater with great anticipation and the hope that this will be a documentary that I can recommend to secular and religious people alike when they consider homeschooling as an option or are new to it. Up to this point, I haven’t had much luck locating a documentary like it anywhere. All I’ve had to recommend were Sir Ken Robinson’s awesome TED Talks and the great talk about Hackschooling. I must admit that I was concerned and a bit nervous too, since I had invited a lot of fellow homeschoolers to go watch it with me. What if this was just another biased documentary with an agenda to push one way of homeschooling as the only right way? The theater was clearly filled with enthusiastic homeschoolers as was evident from the loud cheers at regular intervals during the screening. As the movie minutes rolled along, I got more and more excited about Class Dismissed. It really portrayed all different kinds of options available to homeschoolers as it followed a family along their homeschool journey, struggles and all. What I really loved about it was that several different options were given. Viewers got to see different approaches to homeschooling and other options like hybrid schooling with the help of learning centers as well as an experience with a charter school. They made the point throughout that one thing would or wouldn’t work for their family, which is the way it should be seen, especially as homeschoolers. There is no right way for each family and not even for each student! I felt the movie did a wonderful job of being real. It had a real family, real-life issues, real questions and concerns, real solutions, without being unnecessarily dramatized. I am convinced that the homeschool world needs a movie like this so badly, because everyone has their own struggles and especially when you are new to it, parents so often feel so alone and think that they’re the only ones with struggles and that they are just not equipped to pull it off! I’ve found countless times that as soon as I’m honest about our family’s struggles on the journey, others open up and share theirs as well and it is amazing how similar these struggles are. The film did an excellent job of portraying homeschooling as it truly is: a journey and not an event. I appreciated the homeschool experts who spoke during the movie, with all their years of wisdom. They all had such good points to add and really contributed to making this a great and balanced film. I loved how none of them pushed just one way of homeshooling as the only or superior way. Blake Boles even commented how homeschooling isn’t for everyone and that it really is about the choice that parents should have between all different kinds of schooling, which is not currently the case. I believe that movies like this will do a lot to promote change in that direction, which is very exciting. The drive down to North Hollywood was made even more worth it since we got to meet the family who is the main part of the film, as well as the 2 producers, Jeremy Stuart and Dustin Woodard. What an amazing production! The cinematography and editing were excellent as well. I found it very easy to watch and interesting to follow the life of the family. It was engaging and not repetitive footage as is often the case with documentaries. I want to show this film to everyone because of all the great reasons above and so we will have small screenings at Learn Beyond The Book as we’ve done before, depending on demand. I am convinced that this movie could be the start for many families of creating an environment where everyone can be happy, fulfilled individuals all throughout their lives. I hope you will be able to join us for one of the screenings. If you have a day and time preference, please leave it in the comment section. Isn’t summer for fun and lazy days on the beach or spent playing videogames? I would reply a resounding yes to that question, but summer can also be a great time to try out some new interest or hobby. What about making your own videogame?! What about taking a summer camp for a week to see how you like a new technology or if you might want to work in the entertainment industry with some acting coaching? Maybe even bake something or create gorgeous art? This is what Learn Beyond The Book, in conjunction with ASE Enrichment is offering at their location this year for anyone over the age of 6. Starting June 15, there will be many different camps ranging from Technology to Art and Performing Art. Santa Clarita is in for a treat! Come learn about Video Game Design, Animation, Acting, Woodburning Art, Entrepreneurship, Website Building, Improv, Cooking, and more! One of the great features of these camps are that they will not have more than 12 students per camp, so every student will get very individualized attention and learn a lot. Don’t delay to sign up, because these camps are filling fast. As I’ve discussed in previous blogs, there are many reasons why homeschool parents think of giving up, but today I want to give you the final two in this series accompanied by some possible solutions. Although it is true that some people have a more patient disposition without even trying, a lot of people will be much more patient if they put themselves in their children’s shoes. I challenge every homeschooling parent to learn a skill they are not familiar with especially one that is hard for them, to feel the inadequate feeling that comes with that. I recently started to learn the flute and even though I already read music, it was not easy at all and I was just imagining how hard it must be if someone doesn’t even read music yet. It gave me even more patience for kids just learning a new language or Math concepts. A lot of the time, especially learning those skills, it seems crazy how often the kids forget the facts they’ve learned and knew perfectly the day or week before, but it has not been cemented in their brains yet if they forgot it. I used to think my kids were just lazy and not trying their best until I learned how much repetition it takes to make it second nature in our minds. – If you have a particularly hard time staying patient with a certain topic, consider a tutor or other teacher. We are most impatient in the subjects that we’re really good at, because to us it is already like second nature and way too obvious, so it’s hard to be patient with someone who might have a harder time with it. The question about socialization is a big one amongst non-homeschoolers and often brought up to try to persuade homeschoolers that they really aren’t doing a good thing. However, if you have a concern about your child’s social group, there are many ways to solve it. – Get more involved with your local homeschool groups. Join a Meetup or other homeschool support groups in your area. – Enroll in some classes where your students will meet others and see them on a regular basis. – Make socializing a priority and take initiative setting up playdates or hang out times. About 5 or 6 years ago I had a teenager who was not that interested in Math whatsoever, not terribly interested in a lot of Academics. In fact we had such constant nagging over getting Math done every day and so inconsistently succeeded that I decided he could learn it later on if he had the need for it. I valued a good relationship with him more than him knowing Algebra. At the time we were doing Decimals, Fractions and some other basic Math leading up to Pre-Algebra. We didn’t do a whole lot of Math past that point. In the back of my head I felt very conflicted, especially since I love Math and I knew he probably would need it later on. I still felt though that he had the tools to learn it one day if he ever needed it. A few years later, we picked up a Math curriculum written by a college professor with a great DVD and he took it upon himself to start studying Algebra 1. He continued on and started Algebra 2 with the same publisher and then the day came about 6 months ago, when he decided to pursue Engineering and he realized he would have to get to Calculus. He took off and studied Trigonometry and Pre-Calculus with the help of Khan Academy and some input from myself and his Dad and today he tested into Calculus 1 with his college placement test. I’m so proud of you, Jonny Hyman, for all the hard work you’ve put into this and for what you’ve accomplished all by yourself. I know you will be ready for anything now! What this has proven to me just once again is that it is true that once a child sees the point in learning something and they see the need for it, they will do whatever it takes to push through it if they have the character training in place of perseverance and a high work ethic. Expose them to good life skills and books like 7 Habits of Highly Successful Teens. Show them the joy those have who have found their passion and possibly an example or two of people who really hate their jobs. Academically, all they need will be the basics of the core subjects, that they learn early on and then they’ll take off. It fills me with so much joy to know that he now also loves Math, like myself and that he actually finds it more fascinating than even myself because he truly discovered it on his own and made those connections. He has long surpassed me now. Go Jonny!! To everyone else, don’t stress too much if your child is “behind”, “ahead” or any other label, just help them find their way 🙂 All they need will be the basics of the core subjects, which they learn early on, maybe another Math teacher or tutor along the way, and then they’ll take off, in whatever direction they are meant to go. It fills me with so much joy to know that my son now also loves Math, like myself and that he actually finds it more fascinating than even myself because he truly discovered it on his own and made those important connections. He has long surpassed me now. Go Jonny!! This seems like a perfectly legitimate concern until you actually start homeschooling and realize just how many gaps you yourself have even though most of us went through traditional school and were even very good at it. If you ever learned some of the stuff, you already forgot it long ago, since it is not useful to your current life. If a child has learnt how to read, write and do basic Math, he/she can learn everything else they desire to learn on this planet, maybe with the help of some expert, but they are capable of filling in any gaps that you might’ve left. As parents we are so concerned for our children’s well-being that we are most likely not to leave gaps and a disjointed curriculum would have a better chance of leaving gaps. – Check to see if your children have critical thinking skills and if they question things around them and you’ll know if they’re interpreting their surroundings accurately. – Ask lots of insight questions and you will soon span all disciplines of learning just based around a common theme. – Make use of classes by experts where they can learn the things you aren’t comfortable teaching. – If you are nervous you’ll leave gaps, feel free to check the standards listed on the CA Department of Education site, which would mean you would at least be leaving the same gaps everyone else in California schools would have. – You could again enroll in a charter school where a credentialed teacher will be supervising your journey and can help you make sure important things get covered. This concern is solely based on the responsibility we feel to “produce” good adults, productive and involved citizens and all around someone that everyone would like to have around. We feel inadequate in ourselves to pull that off. Once again, just the fact that you’re concerned about it, most probably means you’re not messing them up. However, “messing them up” should be defined. I think it probably will have a lot to do with leaving gaps in their education, which I discussed above. There does come a point where fighting with your children to get them to do school work could start damaging your parent-child relationship and create a “messed up” view of education where they start hating it. I believe that is the point where a change is needed. – There are many solutions though and most of the time this starts happening as the kids enter puberty where they really are just trying to figure themselves out and establish that they are individuals and don’t want to just be followers and feel like puppets. This is perfectly normal and healthy for them to do and once you know that is what is happening, it becomes less personal and we feel less defensive as parents. It is especially hard when this happens to your firstborn, because your sweet, friendly child suddenly becomes less happy and even rude and disrespectful to you at times and you’re not used to it happening at all. It does pass and it is important to give kids some space to develop into their own during this time. The more they see you respect them and this process, the more likely they will be letting you into their world, because you are not trying to control them. One of my friends likened this stage of development to that of a chrysalis turning into a butterfly. All that has to be done with it is to leave it alone and provide the conditions for it to successfully emerge. If you ever tried to shake around the chrysalis or tried to help the butterfly get out when it is stuck in the process of coming out of the cocoon, you know that it is interfering with nature and never works out well. We’ve had a few butterfly gardens and it never works to try to “help”. As parents the most important thing is for us to be available to them and assure them of our love and providing an enriching world, but not “shake around” their chrysalis or try to control their emersion as they try to mature. – At this point in time, it also really helps kids to have a lot of social interaction with friends and often they appreciate other teachers in their lives, not just their parents. Find a good class and teacher in the neighborhood in the topic they are most interested in and expose them to other good teachers and role models. As homeschooling families, we all have our good days and our bad days, just like any other regular family. The only difference is that, since we homeschool, we might potentially be with the kid who is causing us distress the whole day while other families might have some hours that the child is at school to think about how to handle the situation when the child returns from school, time to sort of push the “reset” button. So, our bad days sometimes feel like bad weeks, bad months or even a bad year. There are many reasons for things going wrong and for most there are solutions that work differently for different children. Today I want to write about what it is that pushes most families to thinking that they should stop homeschooling (or never even start) and invite you to investigate why that shouldn’t make you stop and how it can potentially be solved. Most of all I want everyone to realize they are NOT alone in these struggles, it is very common. In this article, the first in a series, I would like to explore just the first concern and in subsequent articles, the others will be discussed. Many of us probably have encountered the child who, when called to start “school”, gives a sigh and asks, “Do I have to?” Although that is not a fun thing to hear when you spent several hours preparing something that you think would be important or even fun, it is important to not take it personally. – If you were waking the child up to go to the school down the street, you probably would’ve had the same response, but wouldn’t have thought anything of it, because that would be “normal”, because everyone else also deals with that and you’re not anything unusual. – A lot of times if you have a child just coming out of traditional school, they might need some time to deschool first. – It’s not always easy and neither is it fun to be pulled out of doing something you’re really enjoying to do something that you might not be that interested in. We don’t even like it as adults. As is the case with all homeschooling issues, there isn’t just one answer, but several possible options that might be helpful. – Give the child a time that school will start and it is great to have that be a consistent time, e.g. 9am every morning or 2pm or whatever time works best with their natural rhythm and age (teens usually like to sleep in way later). – Give the student some warning, e.g. remind them about 10 minutes before they need to start. – Some families let the student set their own schedule. They are given an assignment sheet for each day and they have freedom to do those things whenever they would like as long as it’s done by the end of the day. This encourages time management and self-regulation, but it might have to be slowly implemented with younger children who might have a hard time to manage all their time right away. – Reconsider the curriculum you’re using if this is a common occurrence where the child is complaining about doing school work. It might not fit their learning style or modality. Keep the lines of communication open and don’t take anything personally. – Always encourage them to give you feedback. Try to put yourself in their shoes. Try to feel what they’re feeling. The more they have a say in how and what they’re learning, the more likely they will be active participants. – If the problem persists, consider setting up a meeting with a homeschool consultant (like myself) to discuss potential solutions for your specific situation. More on the other concerns in my next article. I want to show this film to everyone because of all the great reasons above and so we will have small screenings at Learn Beyond The Book in November and the months beyond, depending on demand. I am convinced that this movie could be the start for many families of creating an environment where everyone can be happy, fulfilled individuals all throughout their lives. I hope you will be able to join us for one of the screenings. If you have a day and time preference, please leave it in the comment section. New to homeschooling… where do I start!? 1. In another article about where to start, I listed some steps to consider, but here are some more. 2. Join as many local support groups as you can find and know where to find information for local homeschooling. Then start attending some of the events and field trips to get connected. 5. Attend a local park day and listen to all the veteran moms talk about curriculum and classes and ask your questions. Most likely someone else has the same question or has used that curriculum before that you have a question about. You can talk while your children will form important friendship bonds with the other kids. 6. Attend your first Used Curriculum Sale – these are always in the summer months, the next one coming up July 26. It’s a great time to look at curriculum hands-on before purchasing it and the prices are a fraction of the cost of new curriculum. Definitely go to one of these before buying new curriculum if possible. 8. Attend your first curriculum fair/convention. These usually also occur during the summer months. They provide lots of great talks and discussions where you can learn more. If you missed it this year, don’t worry, they happen every year. 9. Like the Learn Beyond The Book page on Facebook. Our Facebook page provides inspiration, current news, homeschool humor, and lots more and it’s LOCAL! 10. Familiarize yourself with the California Homeschool Network (CHN) website where you can find answers to questions about if it is legal to homeschool and tons more information. It is also great to refer friends and family to, if needed. 11. Take a look at the California Department of Education website if you are wondering about standards and what would be covered in different grades in a public school. 12. Decide if you are going to file your own PSA or if you are going to register with a charter school. Feel free to read my other article about charter schools so that you can get a better understanding what that involves. If you decide on a charter school, make sure to apply ASAP. 13. ENJOY your children and being together as a family! Last week I wrote about the importance of Language Arts in the curriculum of every student and this week I want to highlight the importance of Math. For a lot of students Math is a nightmare and they just can’t wait to be done with it for life. I always tell them that they will never be done with Math, since we use it every single day. There is a level of Math though that few people ever use unless they get into a career like Engineering, Architect, or Math teacher. Even though it is not everyone’s favorite thing to do, it sure can be taught in more interesting ways than it sometimes is. Some parents/teachers really hate it themselves and never quite got it down themselves and now years later, after not using it, they have forgotten a lot of it. Math is like a second language and therefore needs to be taught as such, with constant repetition until it becomes second nature to the speaker. At Learn Beyond The Book our Math classes are taught by individuals who absolutely love numbers and Math and will impart that love and passion to their students. We employ lots of games and projects as well as hands-on manipulatives for a lot of it, whenever possible. We also break Math down in the components & skills that make up higher Math. We start out with a very strong emphasis on Place Value, which is essential to grasp and then Adding & Subtracting, plus things like reading clocks, counting money, etc. Once students master these concepts and Math facts, they move on to the Multiplication & Division class. Once they mastered those skills, which of course build on addition & subtraction, they are ready to move into the Decimals, % and Fractions class. Then we introduce them to positive and negative numbers in the Integers, Measurements & Word Problems class, some basic Geometry, Graphs, and cement all of that with word problems. Finally, they are ready for Pre-Algebra and higher Algebra and Geometry classes, which would be the next levels. Just understanding that progression already helps a lot to know where everything fits in place. Lots of curriculum teach a little of everything and don’t review enough for students to really master anything and so when they return to the same skillset the next year, they don’t remember it anymore and it is discouraging. Mastery is such a crucial aspect of Math instruction. When I was in school, we learned Math more like parrots than thinking people and it was very confusing to most students and even though I loved the numbers and manipulating them, I didn’t have a clear understanding of what I was in fact doing. So, my goal in teaching Math, is to make sure students understand what they’re doing and why, because without that, they’ll feel lost and never be able to apply it to real life situations. Of course, there are the applications of Math as well, so we also have some creative classes that mix Literature with Math for those students who love stories. We use the Sir Cumference series of books to demonstrate several Math concepts and do projects based on the story for the week. Another class that apply Math in a very important way is the Economics & Personal Finance class, titled “Where’s the Money?”. This class gives students all the skills they need to manage their own personal finances and even start a small business. They learn through projects, games (money & review) and lessons. Near the end of the semester, we have an Entrepreneur Day and also a fieldtrip to the Federal Reserve Bank planned. For those students who might really not like Math, the Math through Logic & Games class might be a great fit, since they play games, but learn Math at the same time. The teacher, working on her PhD and a Mensa member is so fun and has as much fun as the kids with the games! Even given all this, we also have Math tutors available to help with homework or for students who need a little extra practice during the week which can be scheduled by appointment. Whether you sign up for a Math class or do it at home, please make sure your students master the Math skills before moving on. To me there is no such thing as Gr.5 Math or Gr.2 Math, because every student is at a different level with it and either acquired certain skills or not. Patience and encouragement in teaching it is key to students’ success. Happy teaching! What skill do you use more than any other in your life? I would venture to say it is your ability to read, interpret what you read and then explain it to someone or write something about it. In college, that is, other than Math skills, without a doubt the biggest asset to be proficient in reading and writing. It is the one skill that you will have to use in every class. In school, we call this Language Arts and it includes skills such as Reading, Phonics, Reading Comprehension, Literary Analysis, Writing, and Grammar. I’m excited to focus a bit this week on the exciting and crucial classes we are offering this Fall 2014 semester covering Language Arts. Many of our classes combine different subject areas in unit studies and cross-curricular classes, so I’ll be including those as well. – Phonics, Literature, and Reading Comprehension with Cindy Dominguez, a credentialed teacher, reading specialist, and educational therapist. The class would be a good class to have regardless of the teacher, but with Cindy’s kind and gentle approach all students are guaranteed progress in these areas in a fun, loving, and supportive environment. – On Thursdays, Rachael Ward and Ashlyn Setterfield are offering Science, Social Studies, Language & Math Through Stories. The class will be based on great children’s literature and with a history theme. Rachael and Ashlyn with their energy and engaging personalities are perfect to do a literature-based unit study. In this class students will be able to take care of lots of subject areas including Language and combining it with good literature. They also have lots of samples to take home for use with the charter schools. Once students can read, they start focusing on spelling, grammar, and writing. – Basic Grammar & Root Words with Games where we focus on basic punctuation, capitalization, sentence structure, types of sentences and learn a ton of root words that help with vocabulary, spelling, and ultimately SATs. We even learn some common idioms and figures of speech. We’ll focus on common mistakes when using apostrophes and homophones. As in many of our classes, the concepts learned will be solidified with lots of educational games and hands-on activities. – Kathy Reynar will be offering her popular Literature & Writing class for students 11-14yo. where they will be focusing on books such as Phantom Tollbooth, The Giver, Walk Two Moons, Bud, Not Buddy and Absolutely Normal Chaos. Kathy is a credentialed teacher as well and is known for her awesome Lit & Writing classes with lots of great discussions. – Our chronological World History unit study, covering Early Modern History (1600-1850A.D.) this year, will once again include Literature and historical fiction as well, related to this time period, which accomplish 2 topics at the same time. This can easily be combined with Writing about the topics covered as well. – Several Writing classes are on the menu as well, some of them combining other disciplines, creating a interesting and engaging twist. – Literature & Writing with Kathy Reynar – a true high school level class that can be used to get high school credit. – Public Speaking & Presentations as well as Debate classes put a new spin on Writing, since students also master the skills of presenting their writing to an audience. – Our Friday college prep teen series will include Quickwrite classes on specific topics, which will help students think on their feet and assembling outlines and writing in a shorter amount of time with no homework. We hope you might join us for some of these classes dealing with essential skills for academic success. We’ve all heard the stories… children graduating at ridiculously early ages from college with a Master’s degree, amazing kid sports stars playing with professionals, young kids attending music festivals, playing several classical pieces from memory and the one common thread between them? They are usually homeschooled. Yes, I know some of these amazing children myself and I’m really glad I do, because they are all wonderful human beings. We also often hear about how homeschoolers compare with their public school peers and how their test scores are on average so much higher than those of public school students. In the homeschool world, however, since homeschooling is a subculture that isn’t always deemed as a legitimate educational choice by friends, family and strangers, we are often trying to prove how homeschooling is so advantageous and superior academically and in every other way, that we engage in showing off achievements of our children, trying to keep up with the Joneses so to speak. I’ve often felt the pressure myself and even added my own comments from time to time, but I realized that it is doing 99% of homeschooling parents and students a big disservice. Of course we will always have the students who are truly gifted in one specific way or another, but there are so many homeschooled students who are regular, average, and awesome kids with no specifically outstanding ability and the parents, and sometimes the students, feel the pressure of comparing themselves to the stories of the genius who graduated college last week. Too often we have the idyllic picture in our mind of the homeschooled student who sits under the tree outside, peacefully reading their book of the week for hours on end without even having to be told to do so. That just isn’t everyone’s reality, and honestly it isn’t the reality of most. I’ve lately talked to many parents and realized that as soon as I am honest with them about my struggles, honesty from their side revealed that they often feel very alone in their struggles, as I have felt from time to time, which led me to write this article. There are very few homeschool parents who don’t run into challenges along the road. There are many solutions to those challenges, but it is very helpful, I believe, to first of all realize that there is nothing abnormal about you, your family, and your children if they’re not scoring 100% on all their tests or not retaining those pesky Math facts after one glimpse. Even worse is when one child in a household does have that special gift and the others don’t. All we need to do is think of ourselves. Some of us have special abilities, but most of us are just smart, hard-working individuals who got where we are in life by putting in some serious effort. Of course everyone is special in their own way, and everyone has their own unique strengths and weaknesses and the world needs us all, but I feel we often fall into one of the traps we are trying to avoid by homeschooling, which is comparing ourselves to the other homeschoolers and making judgments on how successful our schooling is for our children. I’m not arguing that we shouldn’t take note if we realize there might be a learning difficulty or some other problem, but as the parents, we are in tune with our children and we usually know or can figure out what they need most. I’m not arguing for mediocrity at all either. I’m arguing for every child achieving their personal best. Let’s celebrate when that is achieved! Not all children will like reading, because neither do all adults. Not all children will be good at sports, because neither are the adults. Not everyone will be math geniuses, because neither are the adults. Let’s celebrate our children’s differences and stop comparing ourselves to everyone’s success stories only. Let’s be happy for each other’s success and try to help with each other’s challenges. That is what true homeschool support really is all about. Having a hard time with a struggling reader? Frustrated because nothing seems to be working? Can’t figure out how to get your children to write anything without a fight? Wondering how in the world you’ll get your child to study a second language when you only know one? You are not alone. It is one of the oldest struggles amongst homeschoolers. Plus these are some of the most fundamental skills that kids need to learn and it can cause quite a bit of stress on the parts of parents when nothing is working. Now there is help! There are several excellent classes being offered this Fall and every semester at Learn Beyond The Book to assist parents in their educational goals. We have a native Spanish speaker to teach Spanish and an expert teacher (with a teaching credential including a special Reading certification) to assist with English Reading Fluency, Comprehension, and excellent Writing instruction. For the slightly older crowd of students, we also have Literature Discussions and Writing from a published author! We even have small group Reading Intensives to provide focused help with Reading issues. Not only are these teachers excellent at their craft, but they are some of the kindest teachers I have ever met and as director, I am delighted to have them teaching my own children. Students will be learning these life-long skills in an emotionally safe environment where they can each progress and learn at their own pace in a non-threatening environment. If you are wondering what there might be for your students this Fall, check out our weekly schedule. I know how we can all get caught up in trying to search for the perfect combination of classes for our kids. There is a theme running through our classes this 2013-14 school year. At Learn Beyond The Book, we value a chronological approach of History integrated into all our studies. We studied Ancient Times last year and this year we’ll move on to the Middle Ages & Renaissance. We are very excited about this. I wanted to highlight one set of classes, which especially if you are in a charter, could really make your life easier. It is the Middle Ages/Renaissance unit study, that involves Literature, History, Geography, Science and Art on Wednesdays, Theater (including Shakespeare) on Mondays, Art for younger kids (Mondays), some Music (Mondays and Tuesdays), and even mixing it up with Minecraft(Tuesdays)! As part of this unit, we will also have an optional weekly monitored online activity from home on the game Civilizations where students will be able to build empires and learn about how it works to rule and defend an empire. There are a few classes that make up this great unit and they are marked with asterisks on our Fall schedule. We will even have some fieldtrips to go with the unit study. Every week we update what was done in the classes with optional additional enrichment activities and suggested books to read in our learning record files that you and your EF/IST can access and we will also have pictures of our work on there for work samples. The unit is designed to be a year-long course, but students enroll for a semester at a time and isn’t obligated to attend both semesters. Basically if you do this unit, you will be covered for all subjects, except Math and PE! Students retain so much more when they are immersed in a unit study and so we are looking forward to learning about this time period in History in all the ways possible! We hope you’ll join us! Science classes at Learn Beyond The Book are some of the most fun classes! Science, which in itself is fascinating, are made even more fun and educational with lots of hands-on experiments that students can participate in within small classrooms and in a loving and supportive environment. I started teaching Science classes in a group setting many years ago, because I found it much more likely that I would do all the great experiments available if I had a group of kids to do it with and not just one. Then, as I thought about it more, I realized that very few scientists ever work alone. It is so frequently a group/team effort. So, it became even more important to me to have high quality Science classes available to homeschooled kids. I just love the mixture of Science with other disciplines as well, as you will notice from all our offerings. This coming school year, I’m excited about a creative class called We Built a Zoo!, a Middle Ages/Renaissance History of Science & Art class, and classes to get students a broad overview of Science they will be tested on (if they’re in a charter) in 5th or 8th grade! We even have High School Health and Biology. For the younger crowd we offer Spongebob Academy (mostly Oceanography) as well as a unit study on Mondays that involve all the core subjects, including Science, based around Literature. You can also come explore some Physics with our Lego Robotics classes or learn all about computers in Technology, or study how light influences photography in a class. Science is just everywhere around us and as a result woven into so much of our curriculum. To top it all, we will have a Science Fair near the end of the year which we will be preparing for all year! We will have milestones for students, so they stay on track and don’t rush to get it done at the very end. So bring over your young enthusiastic scientists for some great learning opportunities this year! Are you tired of trying to get down those multiplication tables and other Math facts, frustrated because the kids are finding it so dry and boring? Do you find every day’s Math a battle to get through? Or maybe you just feel like it could be more interesting? If so, you are not alone at all. Many homeschoolers find Math a challenging subject and they are ready to throw the towel in many days. First it is challenging because it might not be the parent’s favorite subject. However, in some cases where it is the parent’s favorite, they have a hard time teaching it and staying patient, because it all seems so easy to them and they can’t quite understand how it would be hard for anyone to remember it. An even more common problem is that parents don’t realize how much repetition goes into Math before mastery will occur. Sometimes all that is needed in there is a little fun, but it is sometimes hard to come up with something interesting to do when there are so many demands, so many subjects to cover and children at various levels of learning. One option you might consider to alleviate this potential problem would be to join in on one of the Math classes offered at Learn Beyond The Book. The Math teachers here love Math and love teaching it. They’ve been doing it for years and know what it takes for kids to get it down. Learn Beyond The Book offers Math classes covering all different levels, starting with Place Value, Addition & Subtraction. Then there are classes forMultiplication & Division, Decimals, Percentages & Fractions, Integers, Measurements, Word Problems, Pre-Algebra, Algebra 1, Geometry and Algebra 2. If none of those interests you because you already own a Math curriculum that works well for your child, there are also other classes to change it up, like the Logic & Math Through Games class, plus this year we also plan to host a Math Bee for Santa Clarita. We are so excited about that! If you are more interested in applied Math, some Consumer Math classes (titled “Where’s the Money?”) for 2 different ages could be interesting to you and your students. Feel free to check out our Fall schedule to see what else is offered. Many people consider homeschooling and they start researching it, but it all just seems so overwhelming and they don’t even know where to start. I’ve encountered so many people like that recently. I have been doing homeschool information meetings at Barnes & Noble and will have another on Aug.10th at 4-5:30pm to help with it, but in the meantime, I thought to write an article to help people know how where to start. Here are some easy to follow steps, although it will still take some more research on your part, so I will link it to my articles about it to make your life a little easier. 1. Decide what your goal is for homeschooling. Do you have a specific vision? Would you like to let your children have more academics or less? Is your decision mostly social in nature, e.g. not wanting certain influences, certain attitudes or character development needed? This would make a difference to what you do next. If it’s not totally clear to you, don’t worry about it, but just keep it in the back of your mind to think about. This will likely change over the years of you homeschooling as well. 2. Decide if you want to homeschool on your own, keep your own records and take care of your own transcripts, diplomas etc. If your child is in elementary school, this might not be that big of an issue yet and you can always change it later, so whatever you decide is never irrevocable. If you do want to have all the freedom possible, the best option would be filing your own private school affidavit, keep an attendance record and some work samples as well as your own report cards (easily created on your own computer). If you would like more direction, you could pick to either go with a private PSP who will do the above for you and provide some guidance, but you will have to pay a little for it. If you want more direction, but have no funds, you might want to consider public homeschool charter schools. These are free and give you some funds for materials and classes from approved vendors. There are several options for these charters. All of them have waitlists, but get on the waitlist anyway, because you can always just not join once you get in if you change your mind or got into another one. 4. After you’ve determined all this, it would be helpful to observe your child and how they learn best before you will be ready to pick which curriculum you might want to get. 5. There are so many options available for curriculum, but I would suggest checkingused curriculum sales first for curriculum at a fraction of the regular cost. The internet also provides tons of free resources. If you need to purchase something, you can check out all the articles and links I have listed. Rainbow Resource and Amazon.com are usually the most affordable options for most curriculum needs. 6. I strongly recommend getting together with other homeschool moms, getting on some yahoogroups, facebook groups and meetup groups for Santa Clarita homeschooling and visiting a local parkday to get input from more experienced moms. There is a parkday every Friday around noon till about 4 at Valencia Glen Park on Via Gavola. You can come and go as you are able. If you live elsewhere, search for some local groups. 7. Know that homeschooling is a journey and you will probably change and adjust your course several times as you find what works best for each child since they’re all so different. Good luck and I hope to see you at one of our parkdays very soon! It is that time of the year that people are starting to contemplate their next school year and they are curious about their options. If you are in traditional school and would like to find out more about other options, there will be a free information meeting about homeschooling and hybrid schooling in Santa Clarita. I will be the presenter. I love to help new homeschoolers or those who are just thinking about it to think through all their strategies. There is so much available that it can be quite overwhelming. My goal is to make it all a bit more understandable and less overwhelming and confusing. So feel free to spread the news about this meeting to anyone you know who might be interested in homeschooling/hybrid schooling or have questions about it. There are few things as inspiring as a homeschool convention in the summer, but living in Santa Clarita, we are used to driving long distances to get to the nearest convention and we normally even have to calculate in hotel costs to be able to attend all the sessions. This year, we will have one closer to home! Teach AV is hosting their first homeschool convention in Lancaster on June 29th from 8am-5pm. The full line-up of speakers is available on their website. There will also be several vendors there and their vendor list is not yet complete, so keep checking back for more. Not only is it closer to drive, but it is extremely affordable as well. If you register before May 17, the cost is only $20. So feel free to check out their prices under the Registration info. I hope to see some of you there, since Learn Beyond The Book will be there as one of the vendors.